S. is AWESOME! 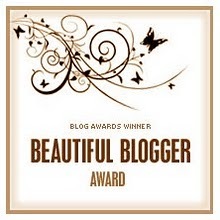 <3 I've been awarded! Check it out! – Click on the picture above to go to HER BLOG. 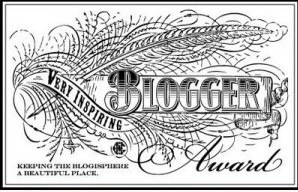 3) Nominate 15 bloggers who cover an array of topics for the Versatile Blogger Award. For these nominations I would like to add on a couple of extras.. Here’s to you! 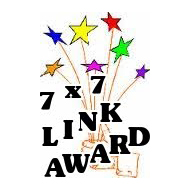 Thanks to all 15 of you for being so AWESOME and thanks again to S. for the nominations! ~And, continue blogging all your beautiful thoughts, suggestions, and musings. More readers are coming! I wish I could just give this to all my followers, and all the blogs I follow…Please know that your work is appreciated by me, and all your works and efforts to share are highly appreciated by me. We all are striving, and working as hard as we can. Just by doing that we will achieve that in which we desire. First of all, for all of her amazing photography from her iphone…http://damnquemala.wordpress.com/ she truly inspires me! I love everyday seeing her posts of all of the amazing things in her world! It helps me keep going! She recommends awesome photography phone apps, and is just totally natural in what she does! Thanks Mala for hanging around my site! Its awesome having you! Second, (hard tie to first) S.http://secretworldofs.wordpress.com/, I know we haven’t talked much lately, but I know its because we don’t really have too much to say to one another, we already have such an understanding. BTW S. I don’t know how to write you the last part of my letter, I have been stuck on your response ever since I read it! You have amazing insight and to the world around us, and reading your response really lifted my spirits. Much love to you sassy woman! Hope you and C. are staying strong! Thank you for being my friend! Third, http://anjouclothing.com/ Such an amazing site, love how she always stops by my blog and comments on the pretties! We have very similar style, and we are always fawning over beautiful things together! Thanks for being such a beautiful person! Fourth on my list, but certainly not fourth on creativity, http://anmagdan.wordpress.com/ Self Portraiture Artist, and amazing personality. She is beautiful, her site is beautiful, and her thoughts are beautiful as well. http://h2obyjoanna.wordpress.com/ Beautiful art, amazing woman! And so nice! http://brushneedleandwhisk.wordpress.com/ Of course! Her paintings are so amazing (she painted me one thats on order, and I will hopefully receive it this summer!) Go check her out! Thanks again Nate for the awesome nomination! And thanks for allowing me to pass it on to some amazing people! I can’t wait to get to know you better! I have a Facebook contest going on. If you have a facebook page, come and like me.. you can do that from my facebook area down there on the right. Or just click here https://www.facebook.com/magikdolls The person who refers the most people to me wins a set of custom made jewelry from me! Your colors, your ideas, all considered. You need to make sure they post on the page who sent them so I know who to give credit to. MEN WELCOME! If you want a gift for your lady, this is the perfect way. 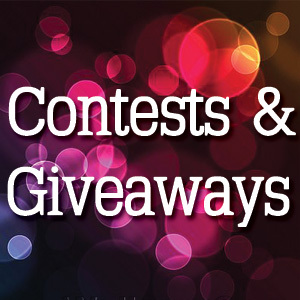 I have a separate blog contest that I am going to announce. If you absolutely do not use facebook, this ones for you! What you have to do, is re-blog this post, and let the people know they need to comment on the re-blog, then re-blog or follow my blog. The person that refers the most to me will get a full set as well which includes earrings (studs, dangling, or plugs) a necklace, and a bracelet. The contests end on June 30th so hurry and get your chance to start getting to it! I will also be creating an award tag for this- specifically to let others know that you won a set of custom jewelry! Have fun ladies, and remember, it benefits us both! Oh, won’t you do this for me son if you can?